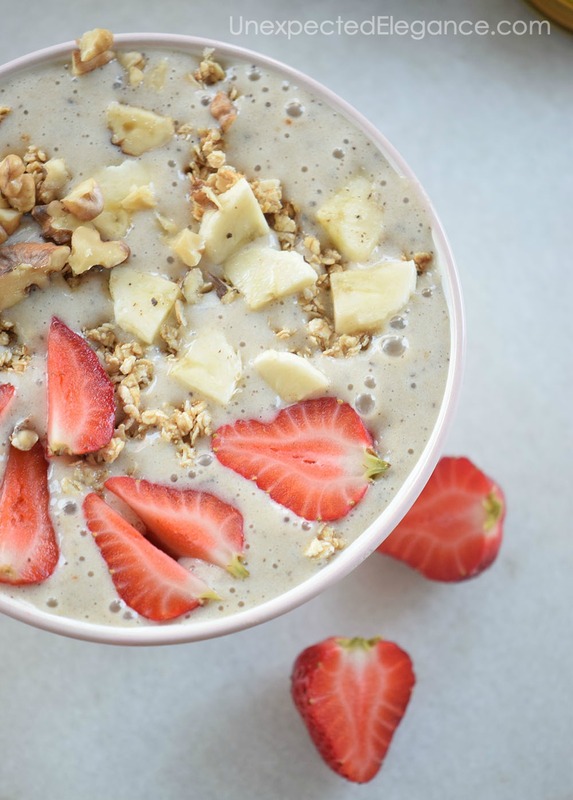 Do you love smoothies? 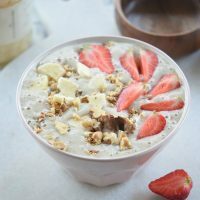 Have you tried a smoothie bowl?? 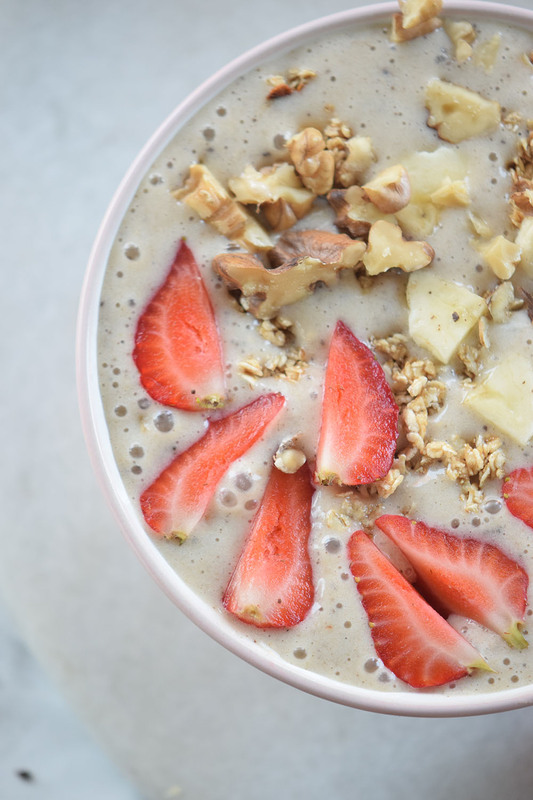 This Strawberry Banana Smoothie Bowl is delicious and will leave you feeling full. 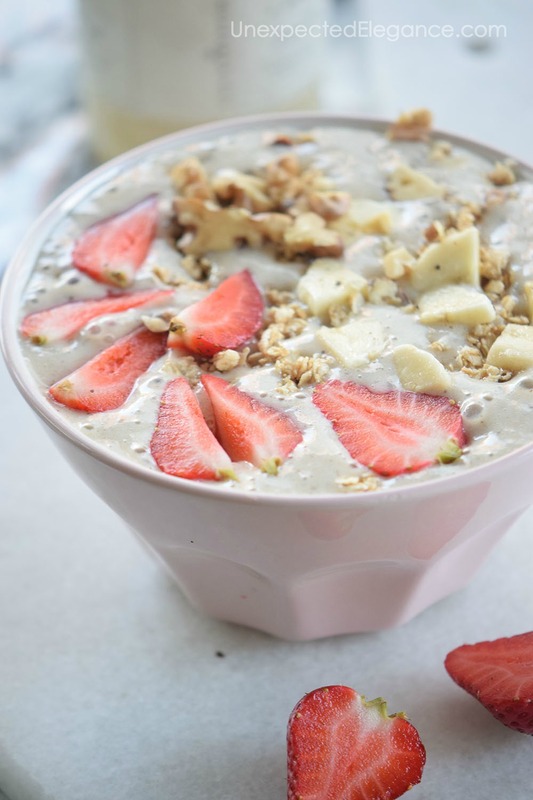 Smoothie bowls…have you tried them? Do you like them? I get it. Some people don’t see the point of eating your smoothie with a spoon. However, I beg to differ!! When I have a smoothie for breakfast, there’s just something psychological that happens and I don’t feel like I’ve really eaten anything. BUT when I eat a thick smoothie with a spoon I somehow feel fuller (I’m weird…I know!!) The best part is they are refreshing, delicious, and a healthy choice. 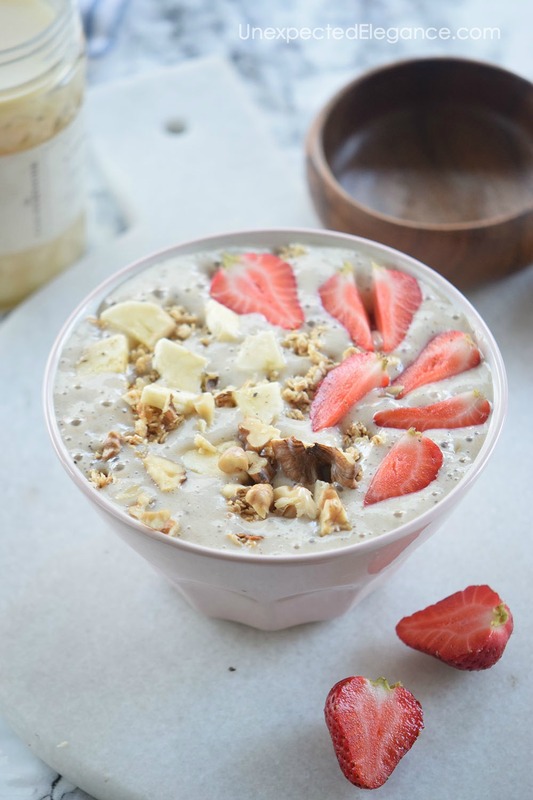 Add the coconut milk, Greek yogurt, 1 ½ cup banana, and honey into a blender. Process until smooth (about 30 seconds). Add the blueberries, honey, half the granola, half the strawberries and half the walnuts. Garnish with the remaining bananas chunks, strawberries, and walnuts. Tip: Add some kale and spinach for a green machine smoothie! This looks easy and delicious! How many does it serve? Thanks! This recipe will serve 1-2 people.